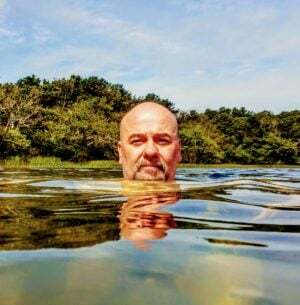 Cliff Weathers was a journalist, broadcast commentator, multimedia producer and political consultant before coming to Riverkeeper in 2015. He served notable stints as an editor at Car and Driver, Consumer Reports and Hearst Interactive Media. Cliff has reported politics, transportation, energy, product safety, sustainable living and climate change. He chronicled the many dangers created by hydrofracking and fossil fuel transportation in a series of articles for AlterNet. His Left of the Hudson podcast, which covered regional environmental and political news, drew a wide audience in the lower Hudson Valley. A Michigan native, Cliff grew up with a love for the many lakes and rivers near his home. He graduated with a BA in Journalism from Oakland University and was commissioned a U.S. Army officer, serving in the National Guard and Army Reserve. He came to New York in 1995 and resides in South Nyack, NY.